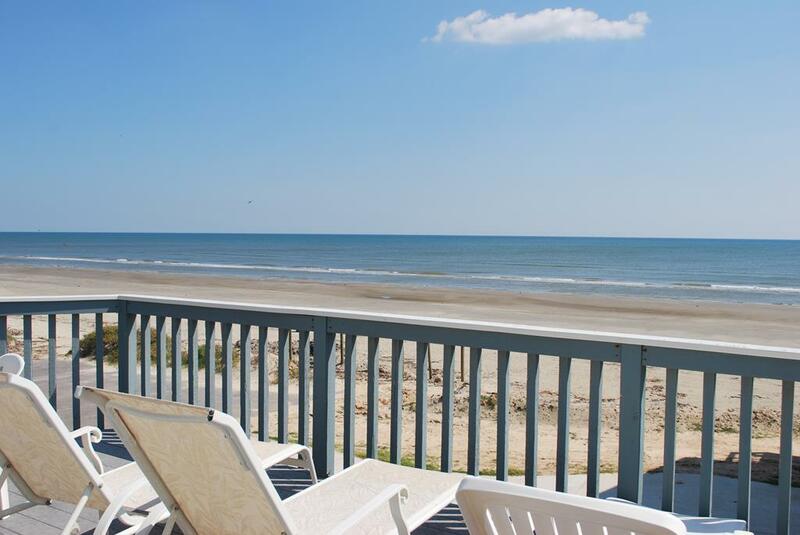 2nd row beachside, two master suites, great views, a fireplace in the living room, and more! Ideal for two families enjoying time at the beach together, the living room's large sectional sofa provides plenty of comfortable seating for game or movie nights. Two king suites are secluded on the upper level, and the larger master also has a private deck. Another queen on the main level is great for those who dislike stairs, and the fun bunk room is an excellent choice for teens or kids. The spacious main level deck offers plenty of room for sunning, but you won't be able to resist the beach that's only one house away! Our family loved Bellatti. Living area has a ton of comfortable seating and is nice and open to kitchen and dining, not to mention great views. Bellatti is a great place to stay. Bellatti is a wonderful property!!! Very welcoming, spacious and felt like home!! Have been coming here for Years. Sand and Sea has been superlative and responsive to our needs. Bellatti is well appointed & the decor is beachy & welcoming. Large kitchen with everything you could wish for including an ice maker. Wow! Excellent view of the water with comfortable furniture. Steps to the beach. Roomy. Clean. Well stocked kitchen with plenty of space.Overall wonderful property. I stay here every year and as long as I come to Galveston for a stay, this is where I will be. One of the most comfortable houses we have rented. Very nice furnishings. if you have a big, blended family like ours, sharing this house with Ferias is a wonderful way to have everyone close to each other and the beach! The living area is very comfortable and seats many. We enjoyed the property very much. Right on the beach and room for 3 couples plus kids. Very nice and spacious with a great view of the beach. Beautiful and comfortable Home just steps from the beach. Although it is not considered beachfront the ocean view is spectacular. This is a beautiful property and we have rented it again for next year. Just a few steps from the beach and the views are great. A fantastic choice for 7 adults and 2 kids or five adults and 5 kids. Lots of seating and great views of the ocean from most rooms. Beautifully decorated and has a large separate ice maker to handle groups. The house is very spacious and comfortable. It is the perfect set-up for two families, but we were having a business meeting and stayed there with 8 people who were not couples. It worked because we've all known each other for a long time and some of us didn't mind sharing a king-sized bed while others camped out in the bunk room. It was much nicer and more conducive to conversation than a hotel. We were in the off season so the price was very reasonable too. The only minor issue was the limited bandwidth of the internet connection. It would cut out whenever several of us were on it at the same time. Sand 'N Sea does not make any promises about the reliability of the internet connection, so I'm not complaining, but it's something to consider when you are planning your visit. It seemed to work fine with just one or two people using it simultaneously. Hi Anja! We are glad you found Bellatti to be a good fit for your group! We definitely understand how the wifi connectivity can be troublesome - most of us out on the West End run into that problem at home too! We hope to have your group join us again soon! Bellatti is attractive, roomy and very comfortable. The view from the living room/kitchen area and large front deck is wonderful. Though Bellatti is not a "beachfront" house (it is one row back), it has a totally unobstructed view of the gulf. A lovely place. Great location & view. Clean and comfortable. 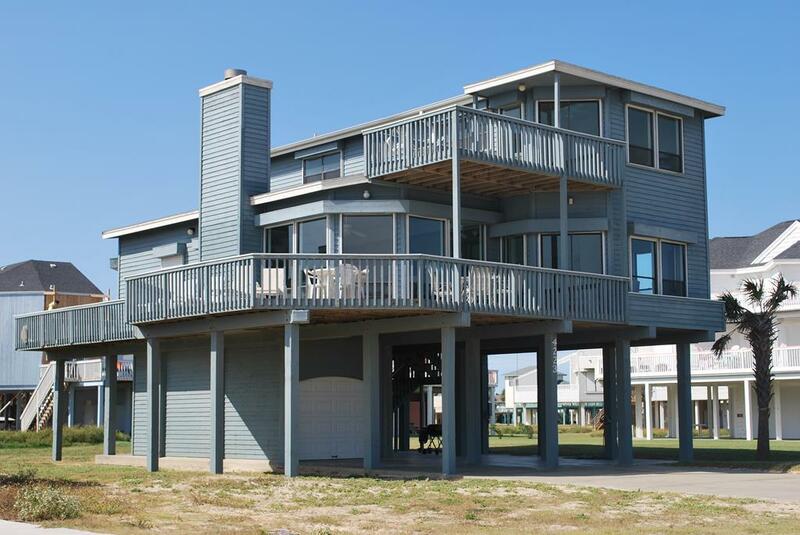 Our family has rented houses every Labor Day weekend in Galveston for over 10 years, and this one was the best. The view of the Gulf is wonderful from the deck. Great to sit and watch the kids on the beach. we rented Bellatti on the off season and loved the view from the deck and watching the ocean. We would definitely recommend this house for a small family and would stay here again. 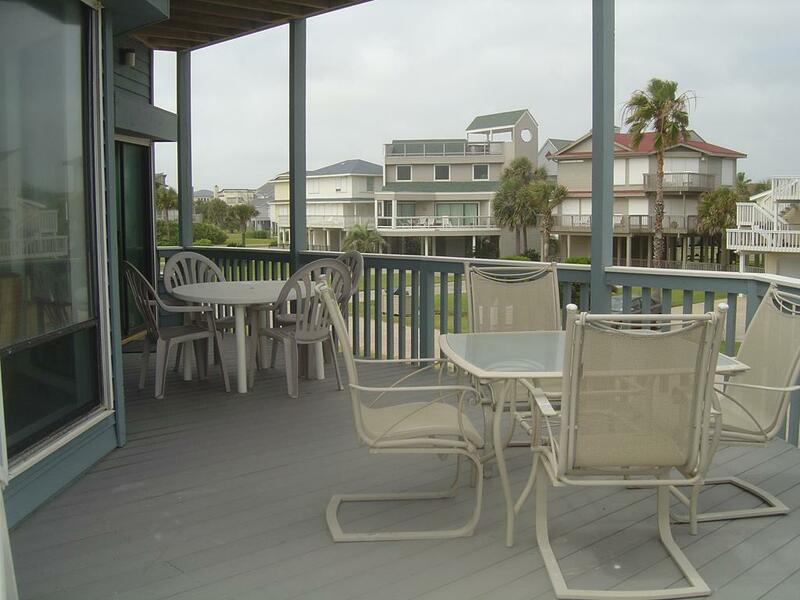 Very close to the beach, short drive to Galveston, we sat on the deck and watched the gulf and the birds for hours. Beach walking, fishing and other beach activities were just steps away. This house is great. Great views, lovely furnishings, comfortable and has easy access to everything. It's our 2nd year in this particular house and I look forward to renting it again next year. I had one concern about the couch and Sand N Sea dispatched someone immediately to clean the entire couch. Outstanding service. Location is great, very close to the beach with great views. This house needs updating and restocking with service for 11 people. Owner had a great library of books and allowed us to use their boogie boards, floats and toys. Hello L Family! We are always happy to provide additional silverware, plates, etc - just call our office during your stay and we will take care of it for you! Great location and spacious home, very enjoyable, even if decoration might not be as tasteful as you would like, we had a very good week end. This was a very comfortable house for nine of us, three couples and three teenagers. The three teenagers shared a room, and each couple had a bedroom. The view was great, there were plenty of pots, pans, dishes, flatware, etc. An ice machine was a nice extra. There was room for 9 of us at the dining table, with pulling up a chair. The living room was roomy and comfortable too. Very clean home and super close to the beach. Plenty of space and nice for kids. Great home. Very spacious and well appointed. The view was fabulous. The ice maker was a great plus. This was our first time staying on Pirate's Beach and we loved it!! We really enjoyed our stay here. The view is great and very close to the beach. House is roomy and comfortable. If Location matters.....this is a super location. The property is well kept open and airy, you feel like you are at the beach with the great view sitting in the living room.